The Spanish region of Ribera has ripping hot summers, frigid winters and a rocky, rigid terrain -- an absolute paradise for Tempranillo. Winemakers in Ribera are using game-changing technology and innovation to coax every drop of complexity into their wine. Wines from the Ribera y Rueda region of Northern Spain are interesting and accessible. In Rueda, the white Verdejo grape produces bright and crisp white wines. In Ribera del Duero, Tempranillo grapes deliver bold, rugged and ripe reds. Ribera y Rueda is making a marketing push into the US and during last summer's Wine Bloggers Conference we had a chance to sample the region's wines and were impressed. They are targeting Millennials, encouraging them to discover and uncover a new wine experience. Wine distributors and retailers look forward to NDJ on their calendar. A large chunk of their sales happen in November, December and January when even the infrequent drinker picks up a bottle or two for the holidays of Thanksgiving, Christmas or New Year's Eve. For wine lovers seeking a bottle of imported wine, the top three choices are most likely France, Italy and Germany -- but Spain deserves a spot at the table too. The wines are tasty, a good value, and pair well with most occasions. 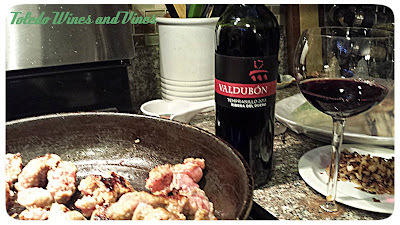 We opened this bottle from Bodegas Valdubón for dinner with a friend the other night. Green Dragon and Maria wanted some "girl time." Since they are both good cooks, I certainly wasn't going to argue. Bodegas Valdubón is located on the outskirts of Milagros in the Burgos region. The vineyard is located in the northern plateau of the Iberian Peninsula on the banks of the Duero River. As European wineries go, it is a young one, opening in 1997. The dish prepared for our meal was a lentil stew with Italian sausage, tomato and carrots. 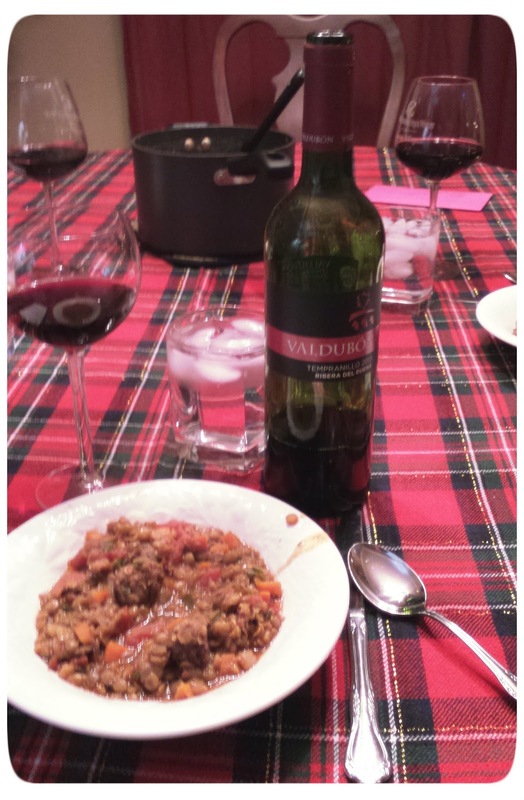 This casual entrée was a nice fit for the Tempranillo. Tempranillo is a lighter weight wine, more similar to a Pinot Noir in feel than a heavy Cabernet. The taste profile is different, with flavors of strawberry, spice and maybe tobacco. The wine is aged in American and French oak for four months. 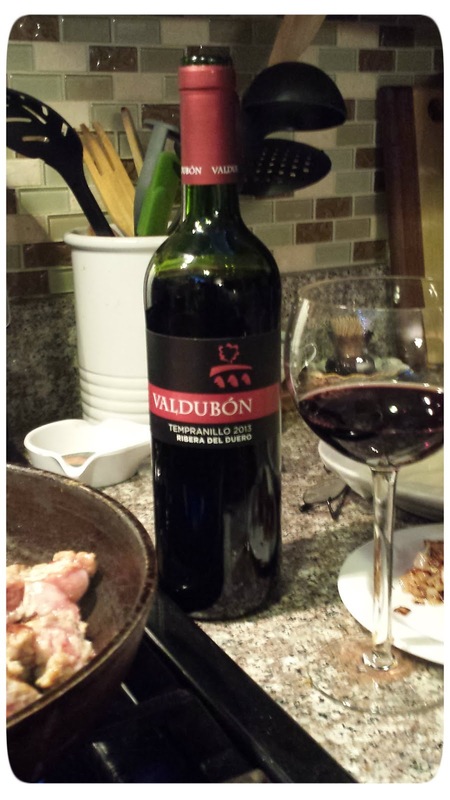 The Valdubón maintains fresh flavors and isn't weighted down by heavy tannins. It is lively on the tongue with threads of vanilla on the smooth finish. This holiday season is your chance to explore the new wines of Spain. Valdubón is a good bet for a light, refreshing accompaniment to your meals or holiday event.